Our last blog introduced a project I oversaw while acting as a design engineer in a food manufacturing plant. The objective was to deposit fruit jelly into raw pastry dough as it whizzed along a production line conveyor belt before being sent off for baking. A special piece of equipment known as a depositor would be required to meet this challenge, and we’ll take a look at how one functions today. In fact, a jelly depositor acts very much as a human heart, as they’re both examples of positive displacement pumps. 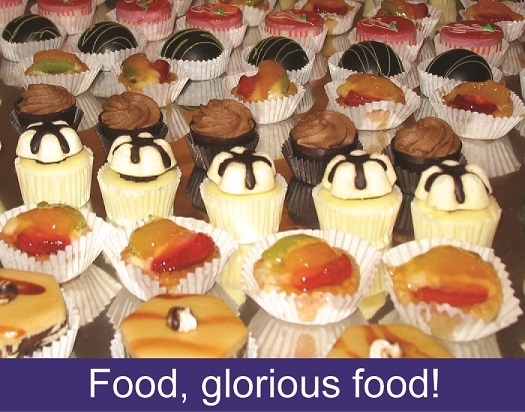 A depositor is a device specifically made for the food industry. 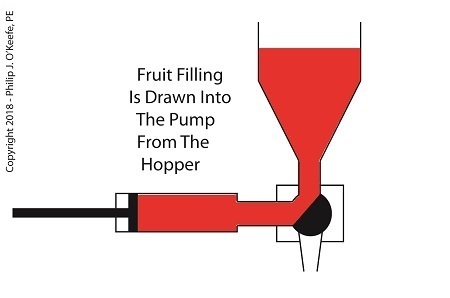 It consists of a hopper to hold the product to be deposited, in this case fruit jelly, which is discharged by the hopper into a rotating diverter valve and then on to a positive displacement piston pump. See below. When the diverter valve rotates, a passageway opens to allow jelly to flow from the hopper into the piston pump. A pneumatic actuator, a device we’ll discuss in more depth next time, moves the pump’s piston to the left, away from the diverter valve, which allows the filling to be released into the pump from the hopper. At the end of the piston’s travel a set quantity of fruit jelly filling is drawn into the pump’s housing, just enough to fill one pastry. See below. 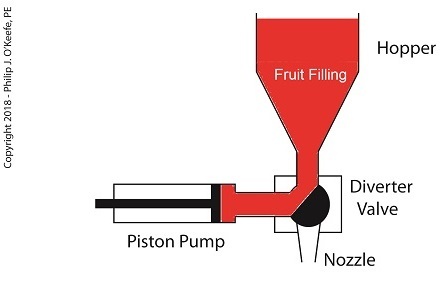 When the diverter valve rotates in the opposite direction, a passageway opens inside the valve that allows jelly filling to move from the pump to the nozzle. 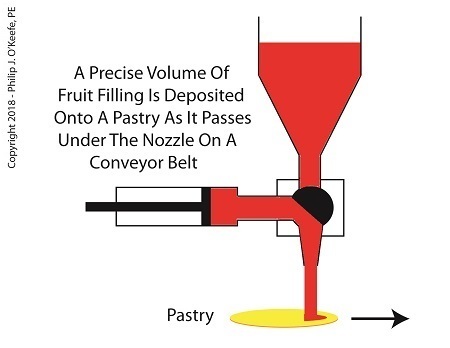 As the piston moves back toward the diverter valve the filling is forced out of the pump, through the nozzle, and into the pastry dough. The pump’s piston moves back and forth, that is, away from and then towards the transfer valve, ushering a set quantity of jelly filling through the mechanism each time. See below. Now that we know how the depositor works, next time we’ll discuss the pneumatic actuator’s role in the filling process.